Recent developments in Africa’s most populous country have become very worrisome. With a very youthful population, widespread poverty and increasing spate of bombings and terrorism, the future of Nigeria hangs ominously in the air like the Sword of Damocles. Corruption is growing in leaps and bounds as politicians revel in flashy display of privatised public resources. The citizens are angry that there is little trickledown effect on the population. Many options are possible but very few of them portend anything good. In the Federal Capital Territory, Abuja, people are continuously in a pensive mood as no one knows when the next bomb will go off and where. There is palpable uncertainty in the air and on the faces of residents. The usually bustling night life is almost completely dead except for a few bars now located in well-fortified compounds where customers have to be frisked by security operatives before being admitted. With the 2015 elections beckoning, decaying infrastructure and the kidnapped schoolgirls from Chibok still in captivity, President Goodluck Jonathan is fast losing control of the situation. Many observers are getting concerned that the consequences of further turbulence could be dreadful to contemplate both for the country and the whole of West African sub-region. The manifestations are multidimensional. 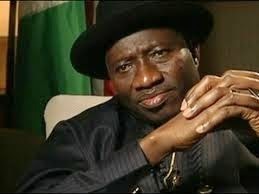 Jonathan’s Peoples Democratic Party is currently embroiled in a multi-level intra-party crisis. When the current National Chairman and a former governor of Bauchi State, Adamu Mu’azu, emerged, many people believed that he would make the right changes that would put the party in the right footing by employing a more inclusive leadership style. Some party stalwarts optimistically referred to him as the “game changer”. Pursuant to this, he publicly promised not to interfere with the running of the party at the state level and in return got the support of the governors. After a few weeks, a defection wind started blowing in the Senate and the PDP was at the verge of losing many of her members to the rival All Progressives Congress. The PDP leadership led by Mu’azu allegedly struck another deal with the senators, promising them automatic tickets of return on their party platform. The fact that many PDP governors are interested in contesting Senate seats means that the party can only keep a set of promise and not the other. The clash of these two sets of promises contributed partly to the current disaffection within the party. It is currently manifesting in many states and the outcome is difficult to predict. In Enugu State, it is between Governor Sullivan Chime and Senator Ike Ekweremmadu. In Benue State, it is Governor Gabriel Suswam and Senator Barnabas Gemade. Delta State is boiling for Governor Emmanuel Uduaghan and Senator James Manager. In Cross River, it is Governor Liyel Imoke and Senator Victor Ndoma-Egba. In Abia State, it is Governor T.A. Orji and Senator Nkechi Nwaorgu. The list is endless. However, a former National Chairman, Bamanga Tukur, is back in court challenging his removal and his possible reinstatement will probably put everything on a reverse gear. The scariest part of this saga is the current annexation of parts of Nigerian territory by the Boko Haram insurgents in the North-East. Many local governments in Adamawa, Yobe and Borno states are under the “Islamic Caliphate” controlled by the insurgents. In the last few months, the Nigerian Army has been suffering defeats or beaten to continuous retreats, or involved in “tactical manoeuvres” that landed some troops among them twice in Cameroon while the insurgents pressed harder and hoisted their flags in many more communities. Instead of the army, local hunters and vigilante groups are now the ones who have been able to confront the insurgents and occasionally subdue them. The army that was once a story of professionalism and fame in Sierra Leone, Liberia and other West African countries is now a subject of scorn and ridicule. One of the prevailing narratives is that these soldiers are not well-paid/motivated and that the President and the military high command should be held responsible for that. A disgruntled and ineffective military in the face of escalating conflict is a bad sign for any nation. Experts fear that it may not take too long a time for Nigeria to reach the tipping point that is capable of terminating the democratic experiment. Furthermore, the frosty relationship between the President and the National Assembly has contributed to portray him as someone who is not in charge. Granted, the parliament is supposed to be an independent arm of government but as a leader of the party that commands a majority, he is expected to push through his policies in the legislative arm of government fairly quickly. In his case, President Jonathan has not. Instead, he has employed some desperate methods which have deepened the crisis rather than ameliorating it. His inability to get the state of emergency extension passed easily in the parliament shows that his support has eroded greatly. Some people feel that many senators are angry with the President for filibustering with many of his promises to them especially on the automatic return ticket. For the House of Representatives, the poor handling of the aftermath of the defection of the Speaker, Aminu Tambuwal, pitted him against many of the members. For instance, the immediate withdrawal of the security aides of the Speaker drew a lot of criticisms from the public. The blocking of the entrance of the National Assembly complex which was aimed at preventing members from holding a session, was not only unnecessary but outright irresponsible. For a politician that is expected to face election in the next few weeks in the midst of swelling opposition, one will expect President Jonathan to concentrate on delivering such projects and programmes that will endear him further to the people. How far can the National Assembly go on the impeachment move that some members are currently pursuing? Will the President consider resigning on his own and support someone else for the 2015 election? Will he insist on going ahead to contest and damn the consequences? The partisan actions of the police and the infamous invasion of the APC offices in Lagos are a clear indication about the loyalty of the security agencies in the country. What if Jonathan rigs himself back to power? Will the opposition party accept the election results or will they form a parallel government as alleged? Will that change anything about the efforts currently employed to fight the Boko Haram insurgents? Now that Nigerians still await the APC to present its candidate, it is difficult to make any comparisons. From all indications, it is safe to conclude from his acts of impunity that President Jonathan is losing grip of Africa’s most populous country. It could slip off his hands at any time. What is not clear is whether the African continent can afford the consequences of an unstable Nigeria.